3 Bdrm Grnd flr Self-contained flat. Hall. Lounge. Kitch. Bdrm/Dining rm. 2 Bdrms. Bathrm (CT band - D). Garage. Parking. Fixed price £150,000 Entry by arr. Viewing contact solicitors. (EPC band - D). Situated in a tree lined street in a sought after location close to the Mannofield Shopping Centre we are pleased to offer for sale this Self Contained Two Bedroom Flat with garage and is protected with a security alarm system. 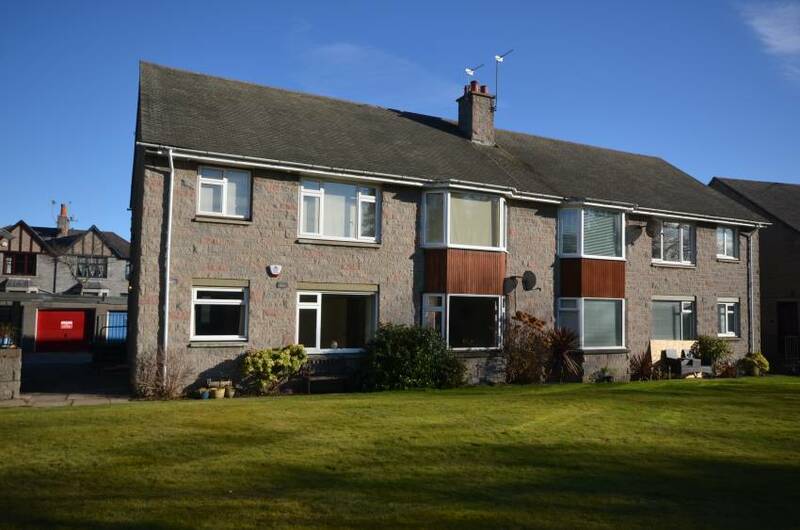 Forming part of the Duthie Court development this spacious property, which would benefit from a degree of modernisation, would be an ideal purchase for someone who is looking to purchase a property in the west end with the accommodation all on one level. On entering the property the hallway gives access to all accommodation with the Lounge having a lovely outlook over the shared lawn area. The dining room and bedroom one also have an open rear outlook with the bathroom, kitchen and bedroom two all located to the front. 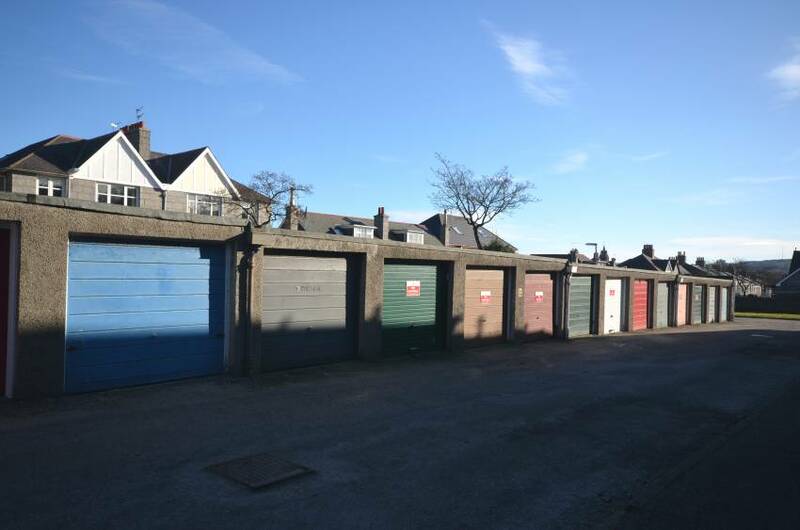 The property offers well proportioned accommodation throughout and benefits from a single garage which offers great additional off street parking. The communal areas are well maintained by the way of a factoring arrangement with a shared drying green to the front and a large lawn area to the rear. Entrance Hallway: Leading to all internal accommodation the Hallway houses a cupboard which houses the boiler and electric meter. Further storage cupboard. Lounge: (18’4 x 10’9 approx) Exceptionally spacious main public room with large rear facing bay window; fireplace with gas supply and alcoves. Radiator and television point. 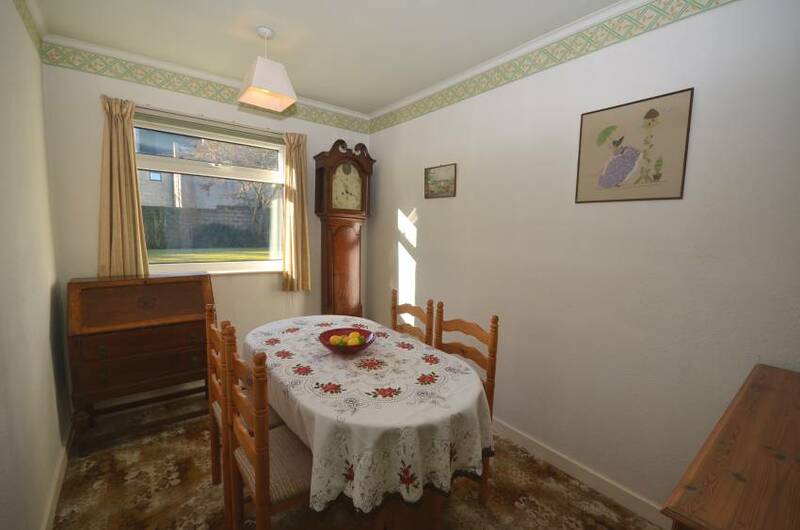 There is ample space for dining table and chairs. 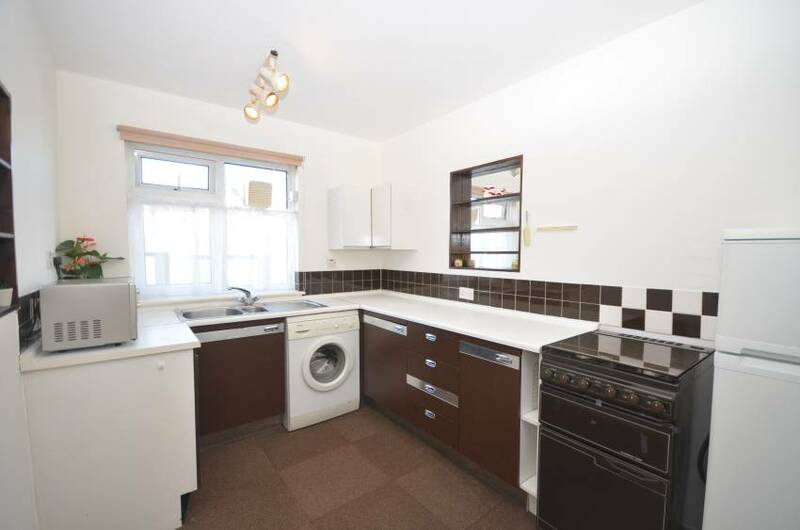 Kitchen: (11’3 x 7’10 approx) Fitted kitchen with wall and base units, coordinating work surface; stainless steel sink with mixer tap; under unit washing machine; free standing fridge freezer and cooker (all of which are available if required). Radiator and front facing window. Dining Room / Bedroom 3: (11’1 x 7’5 approx) Currently used as a Dining Room this room has versatile uses and would make an ideal third bedroom. Rear facing window overlooking the lawn area. Radiator. 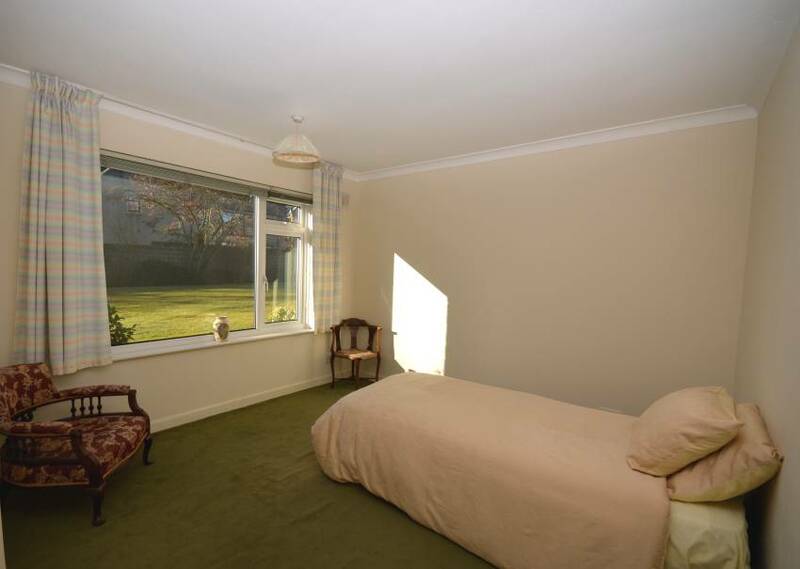 Bedroom 1: (12’11 x 11’2 approx) Exceptionally spacious double bedroom overlooking the rear. Benefiting from triple built in wardrobes; ceiling coving and radiator. 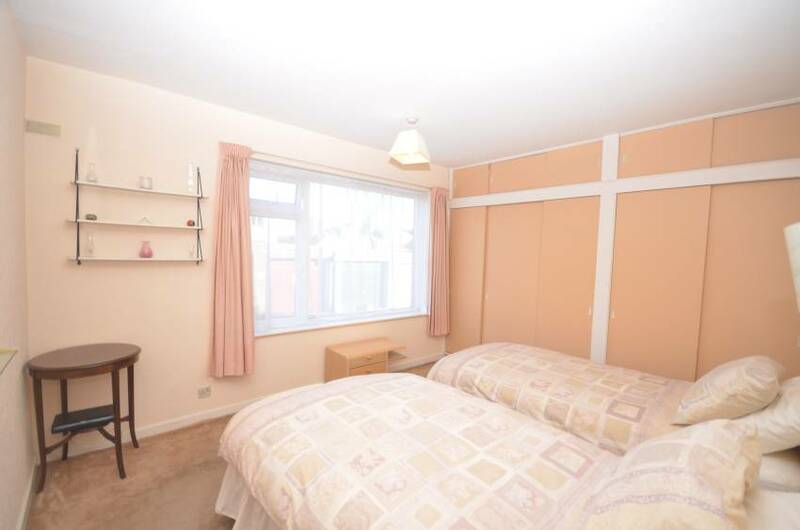 Bedroom 2: (11’11 x 10’8 approx) Further spacious double bedroom with front facing aspect; fitted with full length built in wardrobes and radiator. 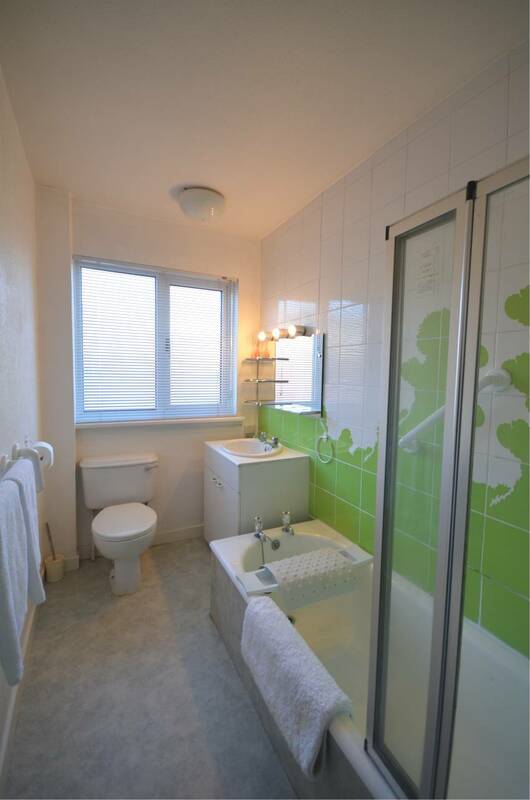 Bathroom: White three piece suite comprising w.c; wash hand basin and bath with shower fitted above; splash back tiling; sink in vanity unit; vinyl flooring; radiator and opaque front facing window. Garage: Garage with up and over door providing off street parking. 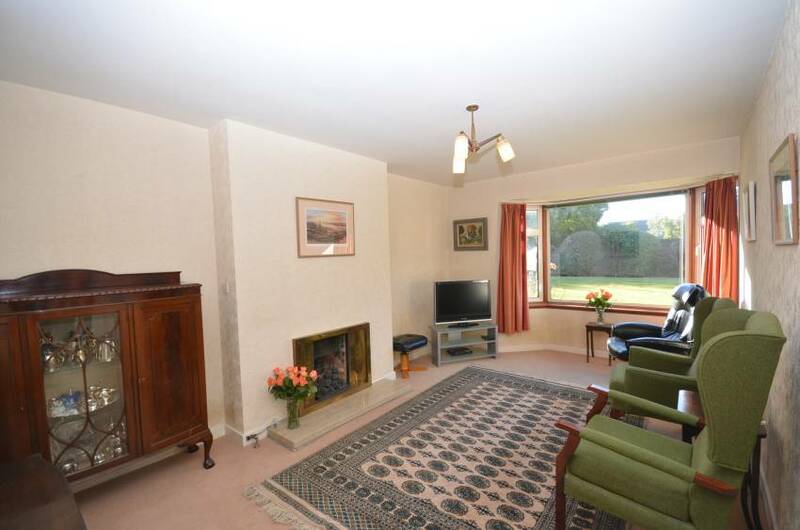 OUTSIDE There is a well maintained shared lawn area to the rear with stone wall providing a high degree of privacy. Shared drying green to the front. NOTE: The consumer unit mentioned in the home report has since been replaced with a new unit. DIRECTIONS From Union Street, continue on to Holburn Street, and turn right at the traffic lights on to Great Western Road. Continue to the far end, crossing over Anderson Drive, and take the first road on the left on to Hammerfield Avenue. Turn first right on to Duthie Place, then turn left on to Duthie Terrace. Duthie Court is about half way down the street on the right hand side. Number eight is to the right hand side of the development. LOCATION Duthie Terrace is a very desirable street located to the west of the City in the Mannofield area off Great Western Road. 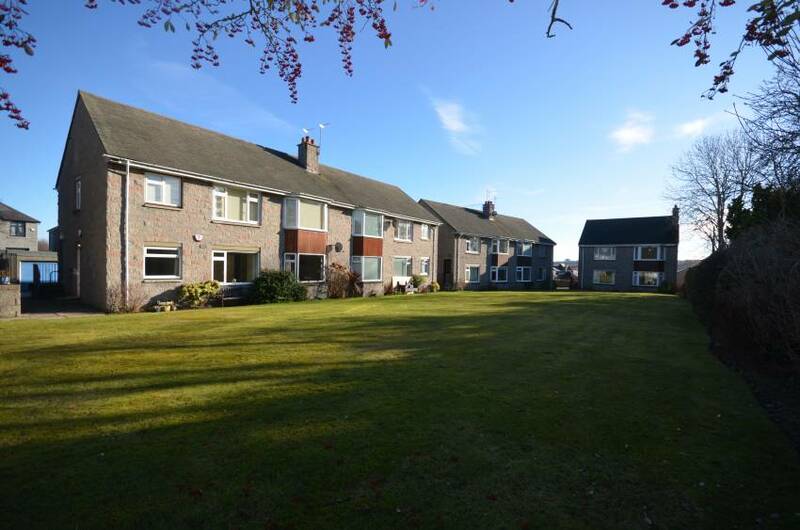 It is well served by range of convenience and specialist shops and a choice of leisure and recreational facilities including the squash and cricket clubs at Mannofield as well as a health centre, dental practice and library at nearby Airyhall. There is a good bus service providing direct access to the city centre and to various locations on Royal Deeside to the west. The main routes North and South are also easily accessible and there are good schools in the vicinity making this an excellent base for a good family home.